For breakfast, will it be pancakes or barbecued beef brisket? The choice is easy for loyal customers of Big John’s Texas Barbeque. 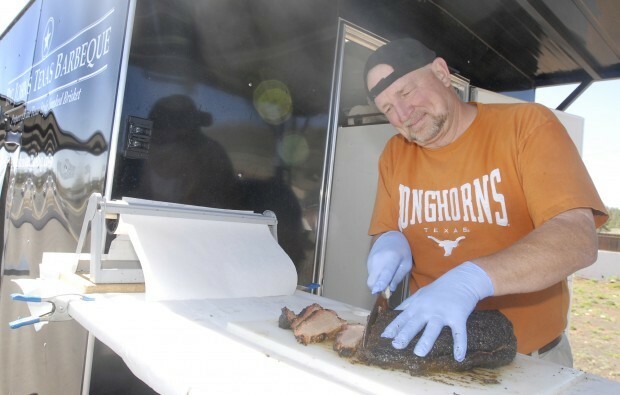 On a recent Friday morning, people were lined up before 10:30 a.m., patiently waiting to pick up their barbecue fix. Yes, for fans, it’s never too early for some barbecue. “You can eat it whenever you please,” said Angie Crim, who owns Big John’s with her husband, John. They’ve been selling their barbecue for four years, first from a tent at various festivals and events. Click here to read full article on AZDailySun..com.